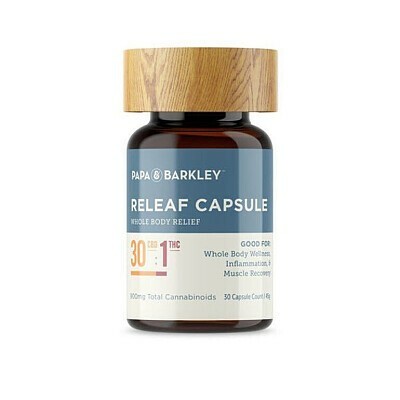 Capsules work to provide discreet, precise whole body relief. Our whole plant-capsules deliver a powerful combination of cannabinoids, terpenes, and phytonutrients that work together for maximum effect. The 30:1 CBD rich capsule is great to take daily to ease whole body aches and inflammation. Start with taking 1 capsule on a full stomach. Available in 7 counts and 30 counts.